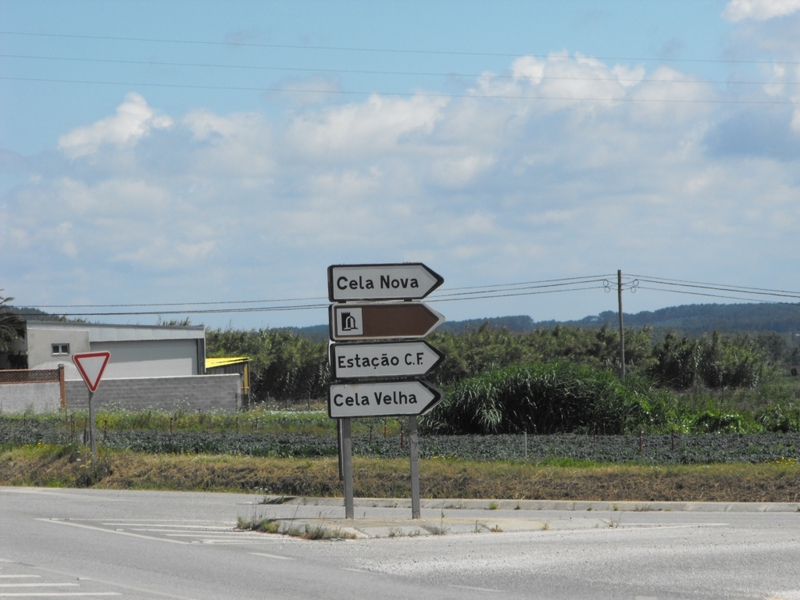 This weeks walk takes place at Cela Velha just off the N242 on the way to Nazare. 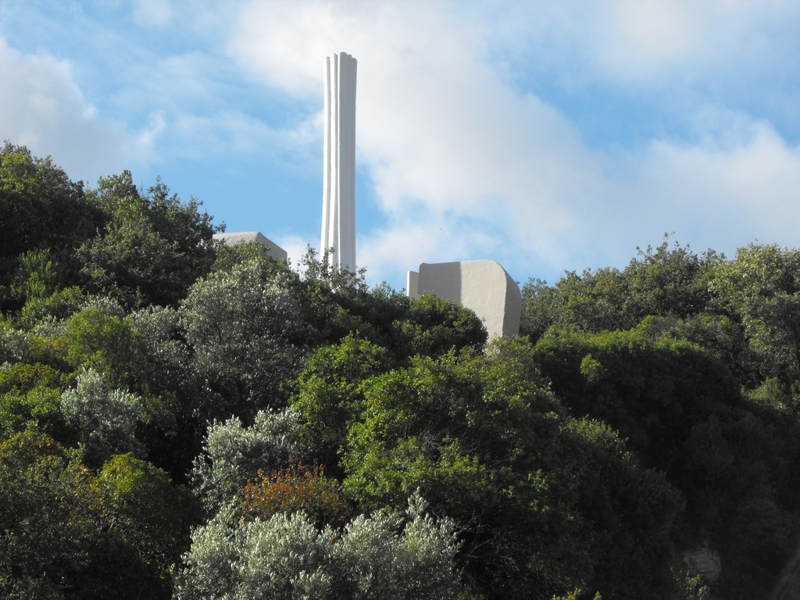 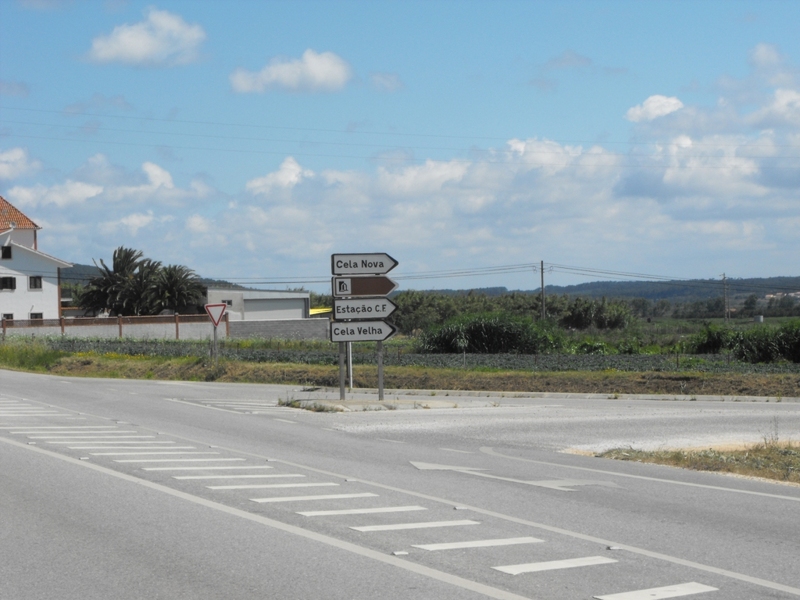 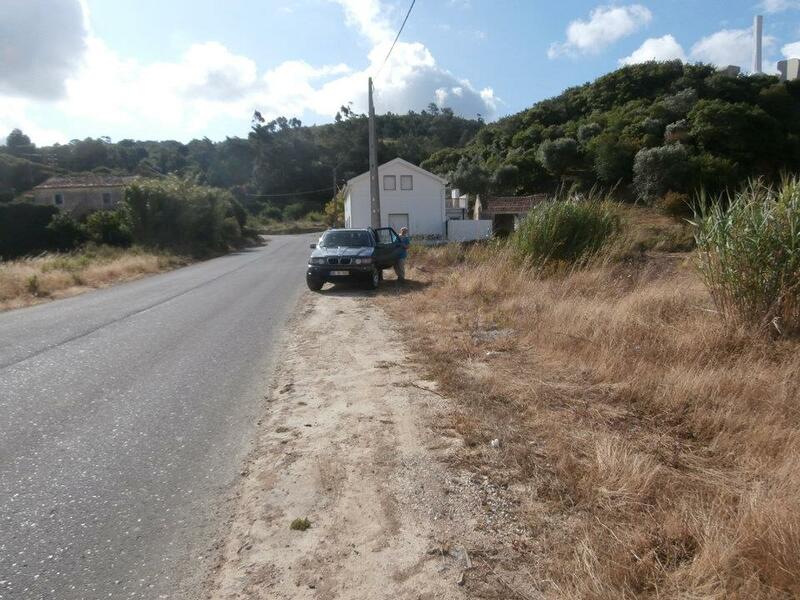 Driving from Sao Martinho do Porto to Nazare along the N242 take the right turning to Cela Velha and Cela Nova after you have driven through Famalicao and before reaching Quinto Nova. 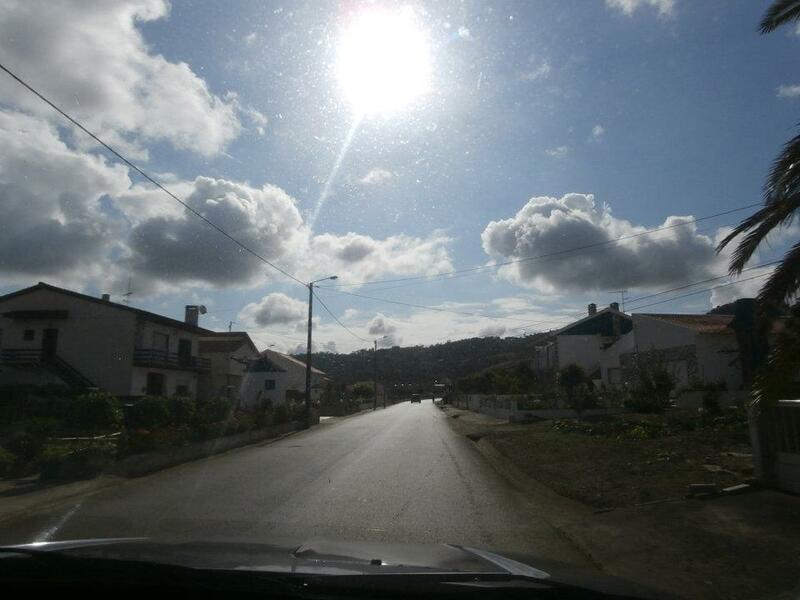 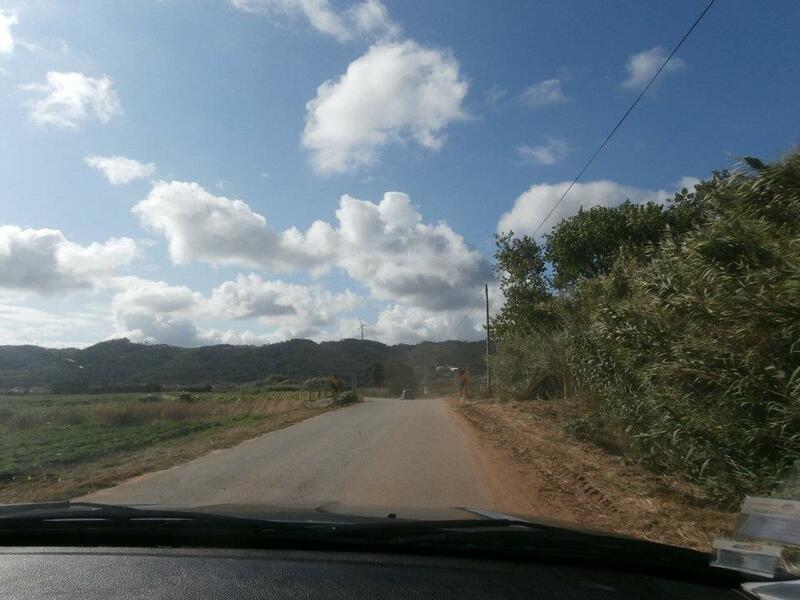 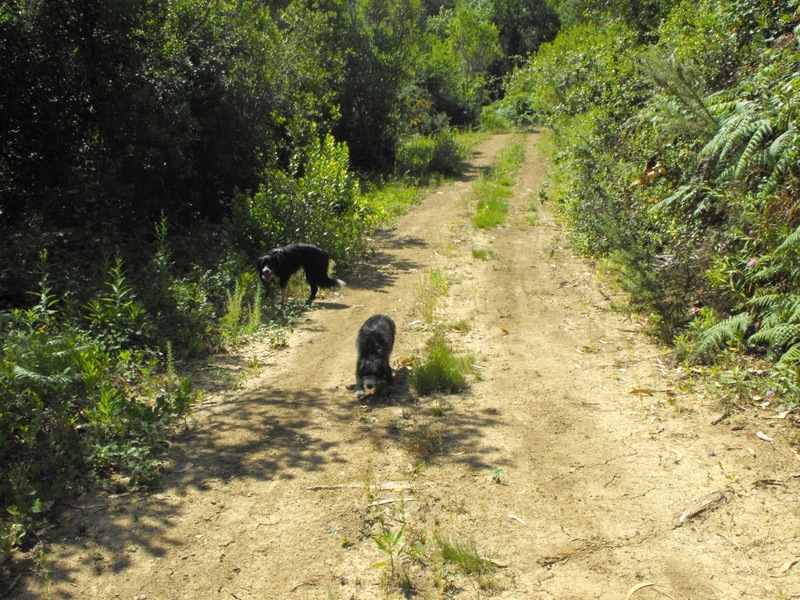 Follow the road into Cela Velha and drive through the village. 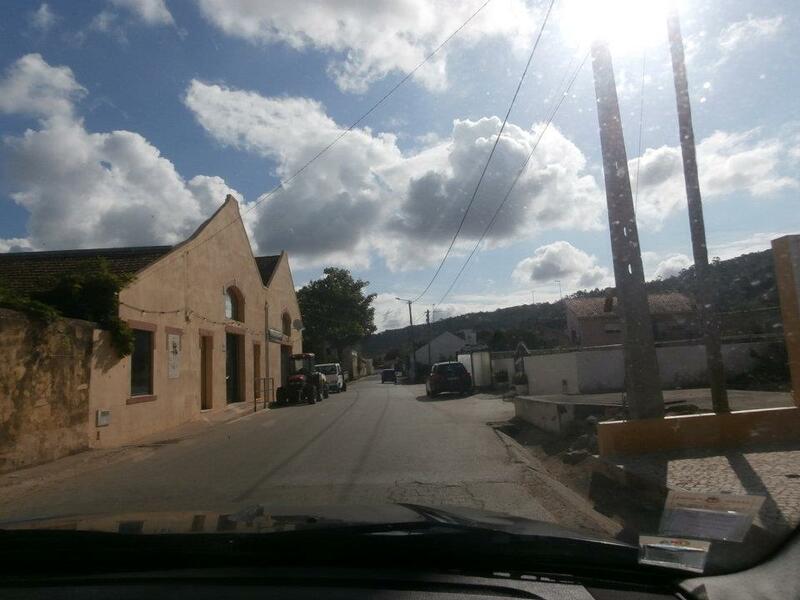 Keep driving through the village past these stone statues and recycling bins on your left (photo below). 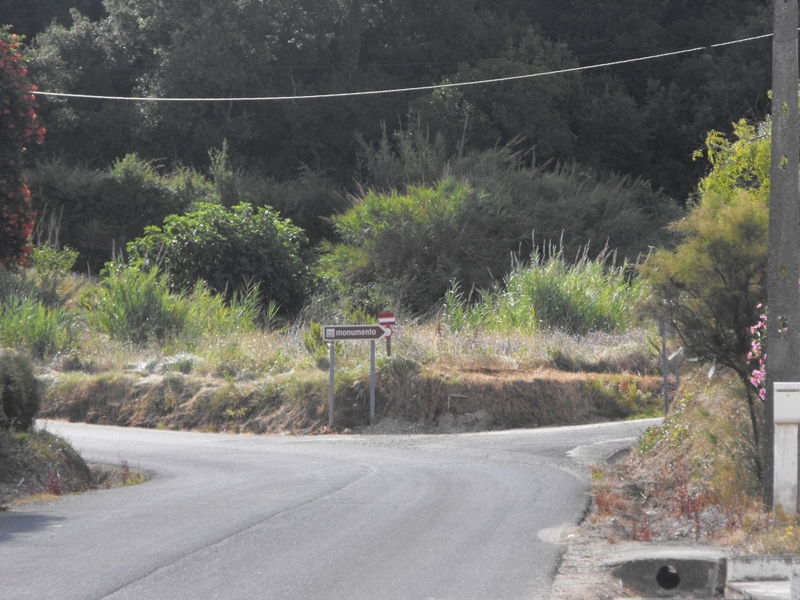 Before you get to a sharp left hand bend in the road with a sign to the right for the monument.